Notice where the blue softballs are in relation to the white strike zone? That’s where pitchers need to have the command to be able to throw to and that’s also ideally where all umpires need to be consistent and call strikes at to be fair. 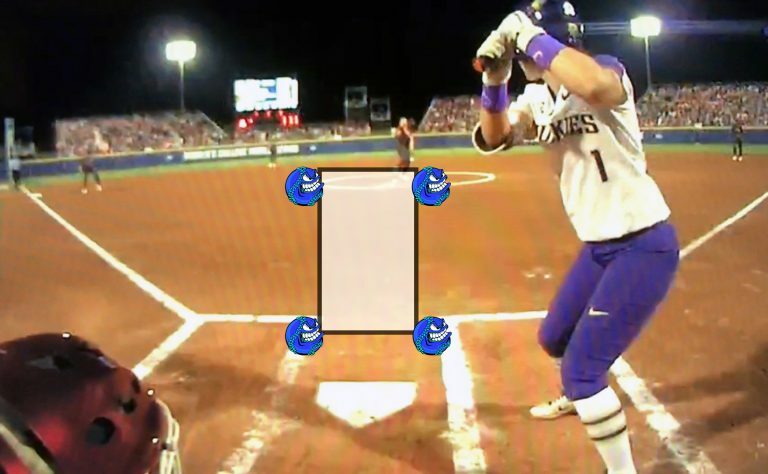 What’s the official strike zone for Fastpitch softball?